Videologies produced a web-based sales training course for Sony Broadcast Systems. The HTML 5 course featured an audio player on each page so that sales representatives could listen to a presentation about new product offerings. The course was designed to be viewable on any device: PC, Mac, iPhone, iPad, Android Tablet, or Android phone. 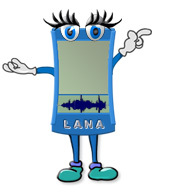 To spice things up, the course featured a cartoon character host named Lana, who added flavor to the presentation. Videologies provided services for the course analysis, design, prototype, storyboarding, graphics development, audio production, and HTML programming.